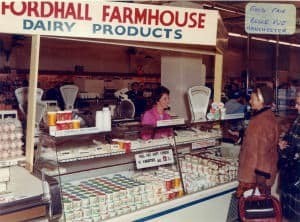 Arthur and May Hollins employed demonstrators to promote their dairy products in all of the large stores where their products were on sale. Mr Gauden whose mother worked for Arthur and May back in the late 1950’s and 1960’s recently sent us a copy of the briefings given to the demonstrators as part of their training. Mrs Gauden demonstrated Fordhall Organic Farm Dairy Produce at Lewis’s in Birmingham. Part of this briefing was a potted resume of Fordhall Farm and its dairy products and how they were made. Up to now we didn’t have any evidence of the actual processes involved in cheese and yoghourt making until we received this information. 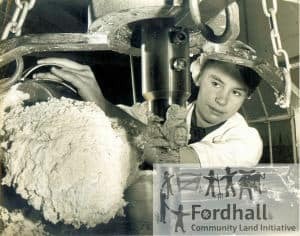 Fordhall farm and its products 1963 is a PDF extract from the document with some of the typing mistakes rectified.The photographs in the document were added from our own archives. Arthur also gave the demonstrators a sheet of questions the customers might ask along with answers the demonstrators could use. It gives us an insight into how May Hollins trained her staff. 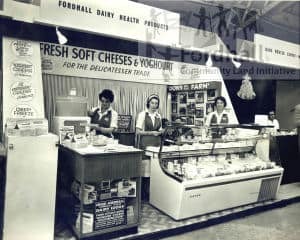 Fordhall cheeses is a PDF copy; it was scanned from the original. 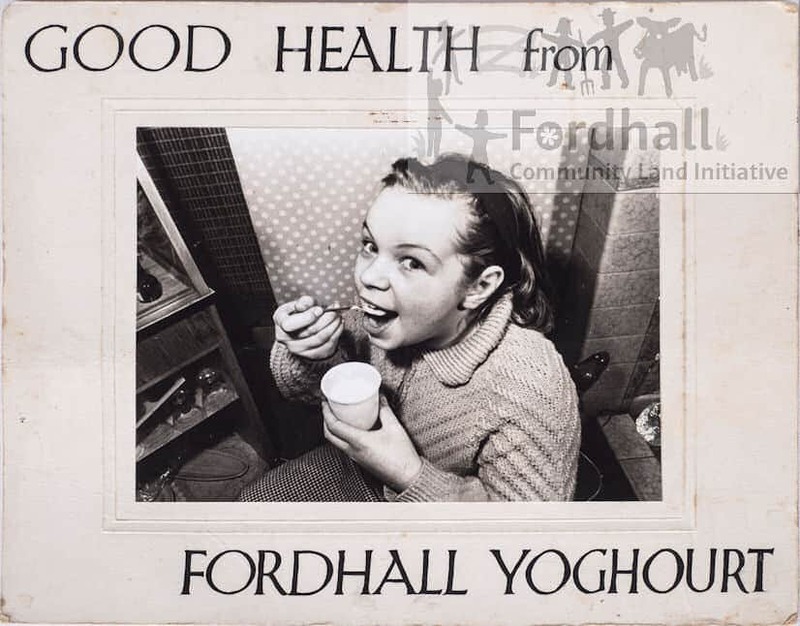 Have you read our book about the Fordhall Organic Farm Dairy Years. It’s called Fordhall farm The Yoghourt Years, and can be bought here.